What are the most common drapery hardware mistakes made when it comes to designing, choosing or specifying drapery hardware? 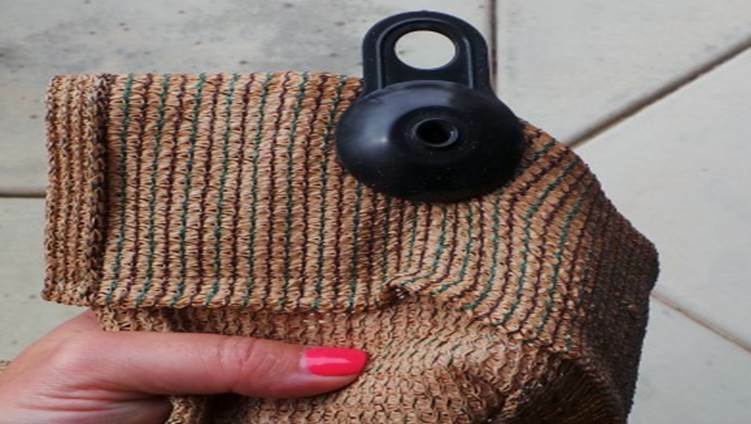 We are often asked this question, so we have compiled a list of drapery hardware no-no’s and added some of our best tips and tricks to avoid them. You’ll come away with great solutions for your upcoming projects. Usually its because you or the client is trying to save money. Don’t do it! Don’t give the client a choice- give them all the reasons why they must choose your recommendation. (Sometimes that means giving them the worst case scenario). 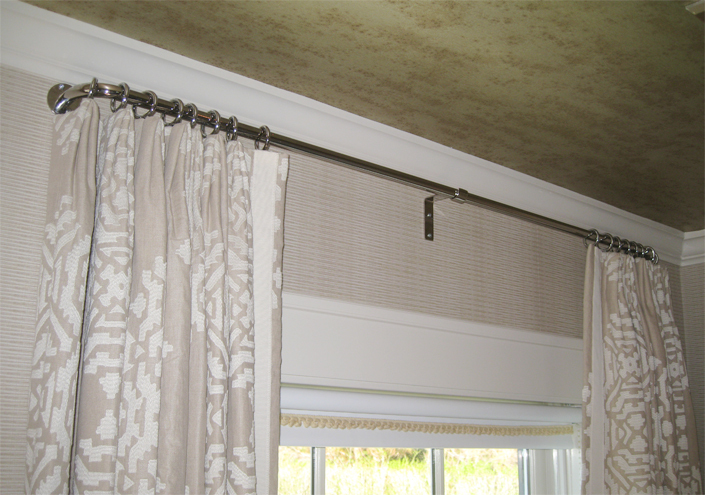 Whether you are making the wrong hardware choice for the application- from telescoping rods to be drawn to lightweight traverse rods for draperies with multiple widths- or choosing the wrong hardware style for the drapery fabric, design or the room; it’s critical to match the drapery hardware to the window treatment design. They are basically 2 types of drapery hardware. Basic goods that are operable and non operable called white goods and decorative hardware- both operable and non operable. 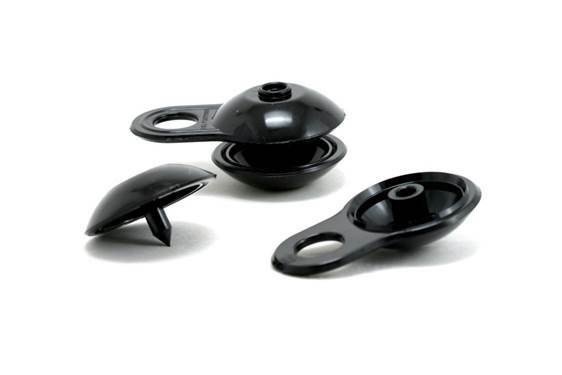 Drapery hardware can also be categorized as ready-made; semi-custom and custom. Ready-Made hardware is pre packaged and sold at retailers. The rods usually are telescoping and can’t be bent or bowed. Ready -made collections have limited accessories and is your most economical choice. Semi-custom hardware is bulk packaged/ pre packaged and the rods are sold in pre-determined lengths- 4’ 6’ 12’. Finials and rings are sold separately. Semi-custom hardware also has limited accessories. Custom drapery hardware is one -off production; meaning no waste. It is easier to install because it is made specifically to your measures and there is less chance for error. Custom hardware is truly personal; each job is finished specifically to your specs so there are no lot variations. A strap and a Command strip doesn’t replace a bracket. Plumbing fixtures should not be part of your sample pack. 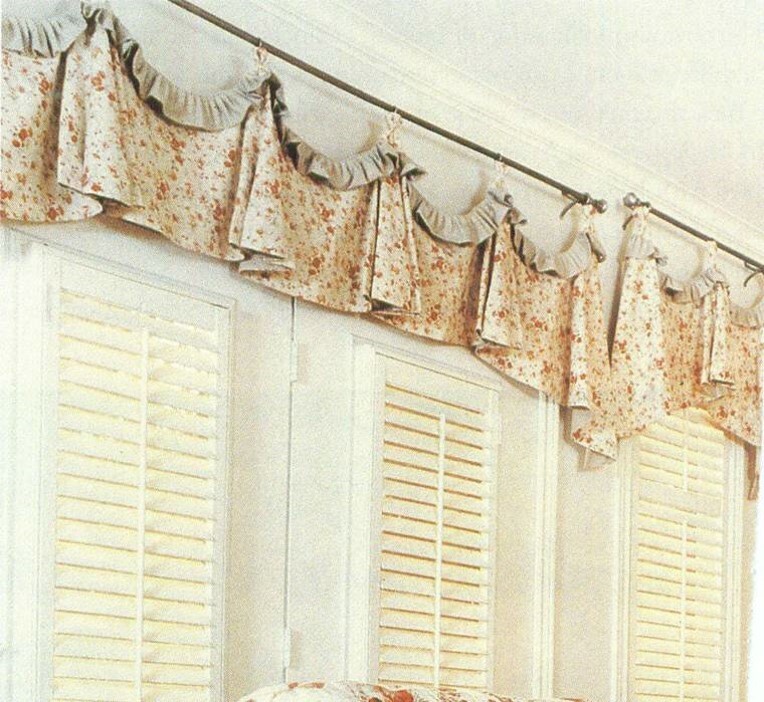 The window treatments are the main event, but the drapery hardware is important, too. Don’t forget to give ample consideration to the hardware. 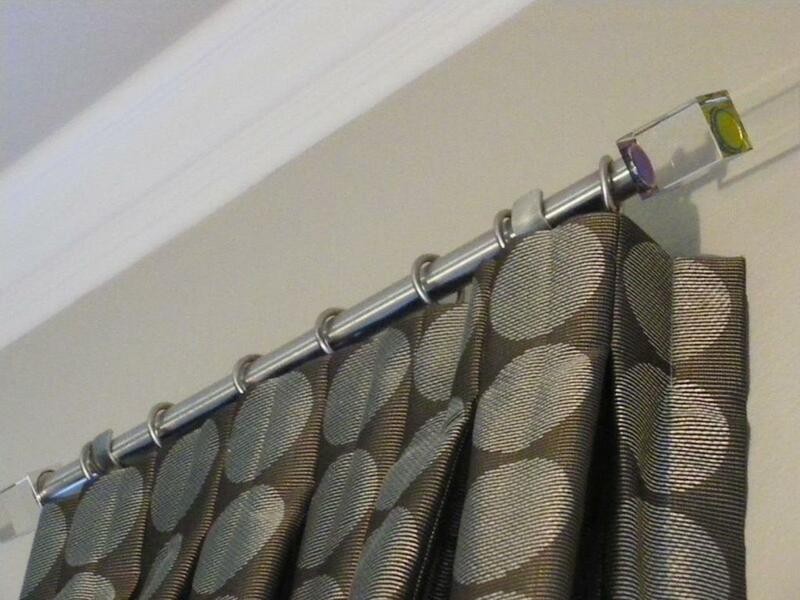 Pay attention to how heavy the curtains are, sometimes you may need a rod with extra support or added hardware. 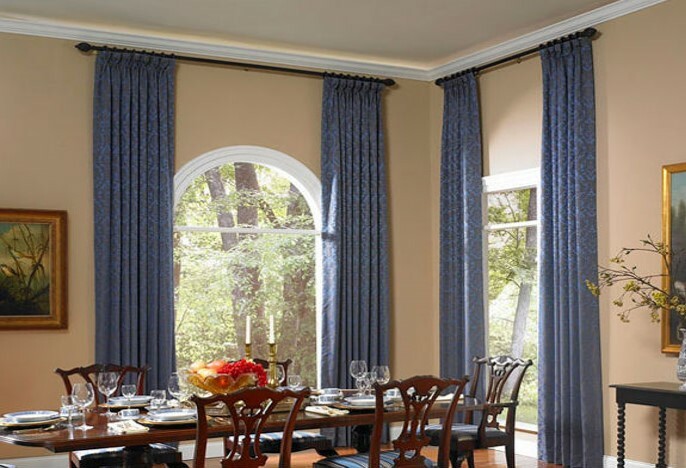 Also, think about the style of the rod and finial and how it goes with the curtain style. The narrower or smaller your window, the thinner the rod can be. 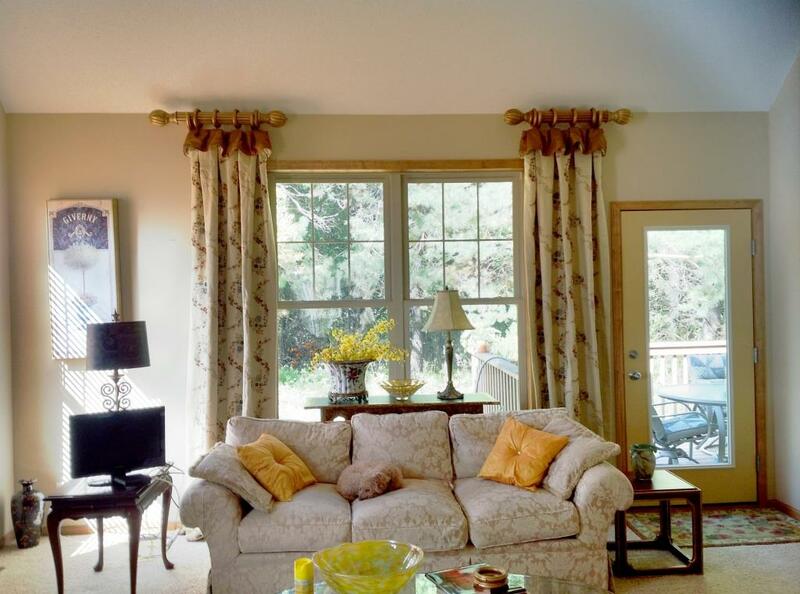 Larger and wider windows will require heftier rods. 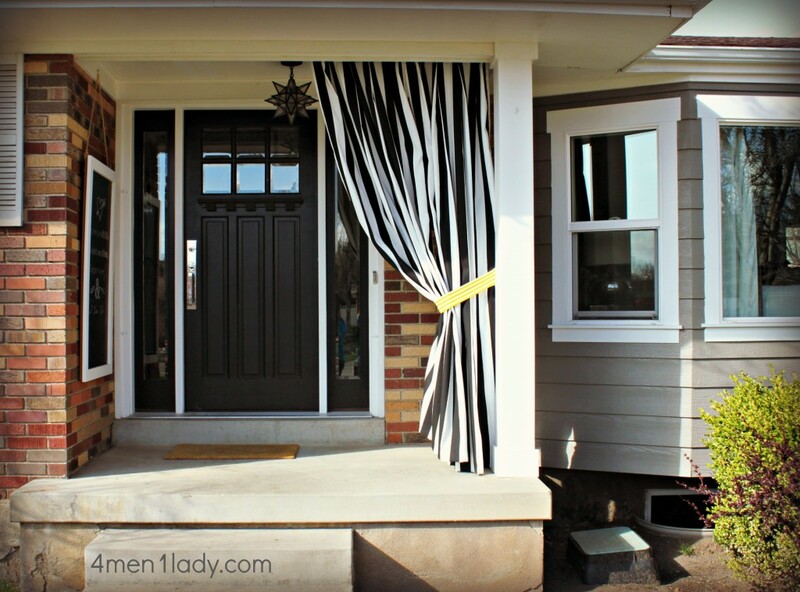 It’s so important to know the window and window treatment footprint. (i.e. will it fit above the frame and below the crown). Telling your installer to “hang it as high as possible” doesn’t cut it. Here are some questions to ask yourself BEFORE measuring and before showing your decorative hardware options to your client. Will this treatment function or not or is it limited functionality? If so, which direction will it draw? How much area do you want to cover? Where are you going to mount it? How many layers are you doing? How far out will you or can you come with the layers? Will the hardware you choose work at ceiling? 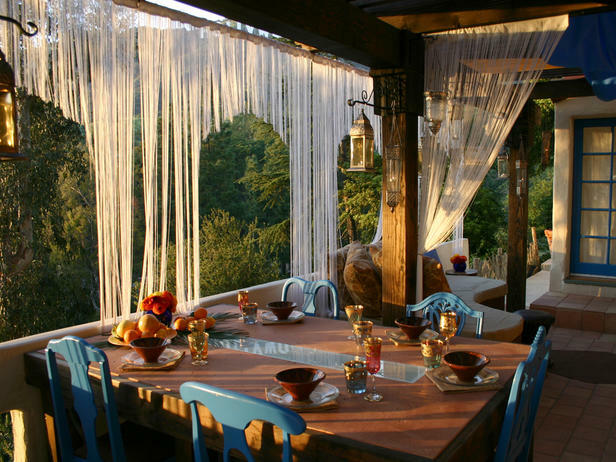 Lovely treatment where all things have been taken into consideration. Rule of thumb is to mount the rod or board up a minimum of 4”-8” above top of trim if not mounting at the ceiling. 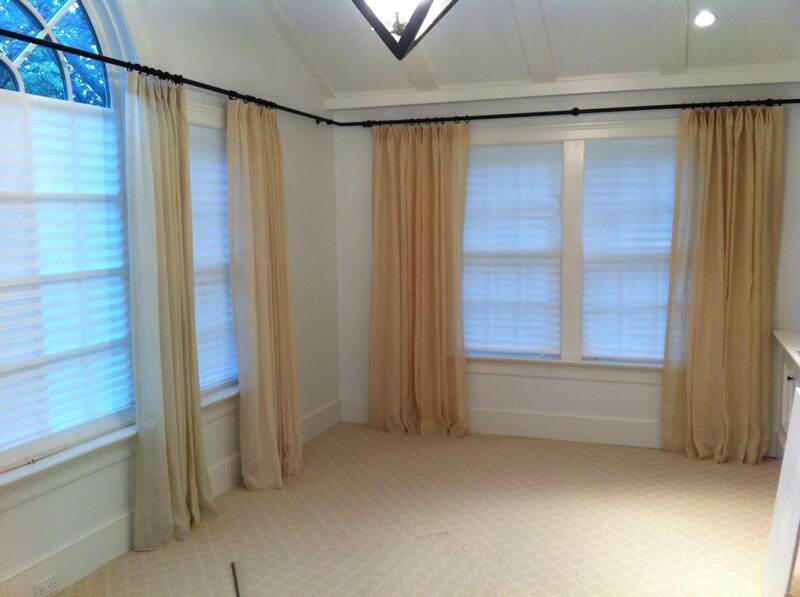 This is done so the drapery covers the trim when closed, and the underpinnings don’t show outside. 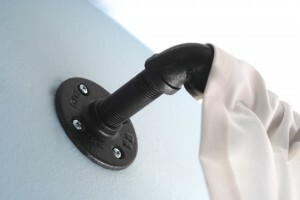 Standard drapery brackets need a minimum of 1-3/4” to mount above trim, so you should be mounting up at least 2” up from the frame NEVER on the frame. Mount hardware are the same height to eliminate sight lines. v Always check to see if there is enough room for rod above and finials on the side. v Ceiling mounts- I like to start at the ceiling and work down. Keep in mind, finial height and ring clearance. Top treatments should be mounted at ceiling when draperies go to floor. v Windows or doors at different heights in a room should have treatments mounted using the height of highest window as a guideline. v Mount directly below wide crown molding. 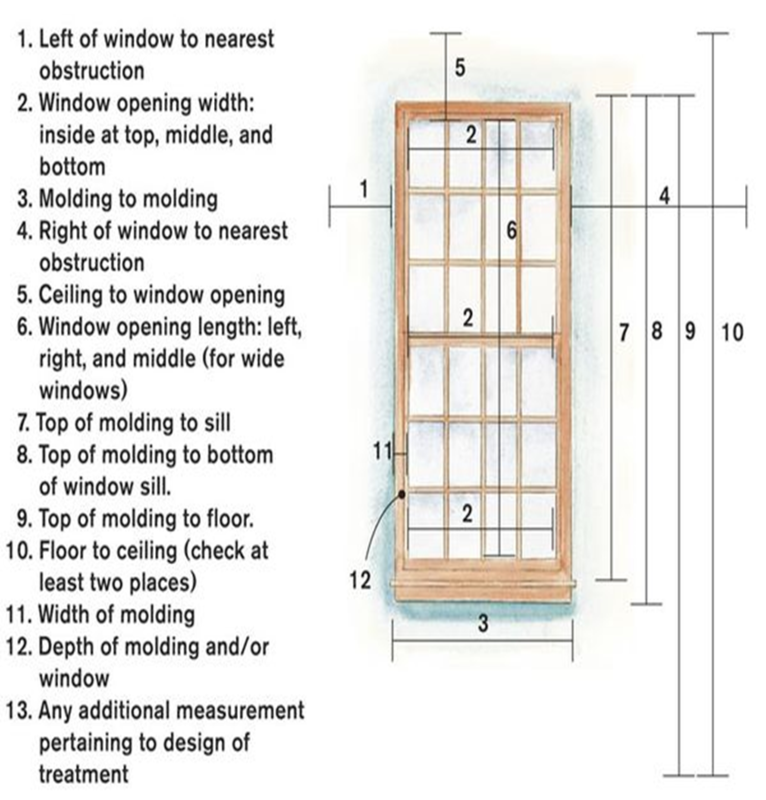 The first thing you should do is measure your windows and make adjustments depending on how you want to hang the window treatments. 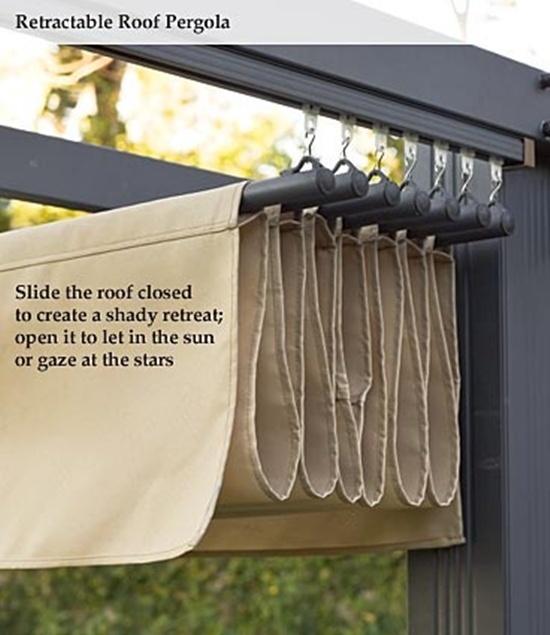 It will save you another trip to the store if your curtains and rods are the right size. First consider the window. Second, Consider the space around the window. Are there security systems? Window centered on wall? Obstructions? Are the floors and ceilings are parallel? The bottom line-Is there space to do what you want to do? Third, consider the room it’s in. 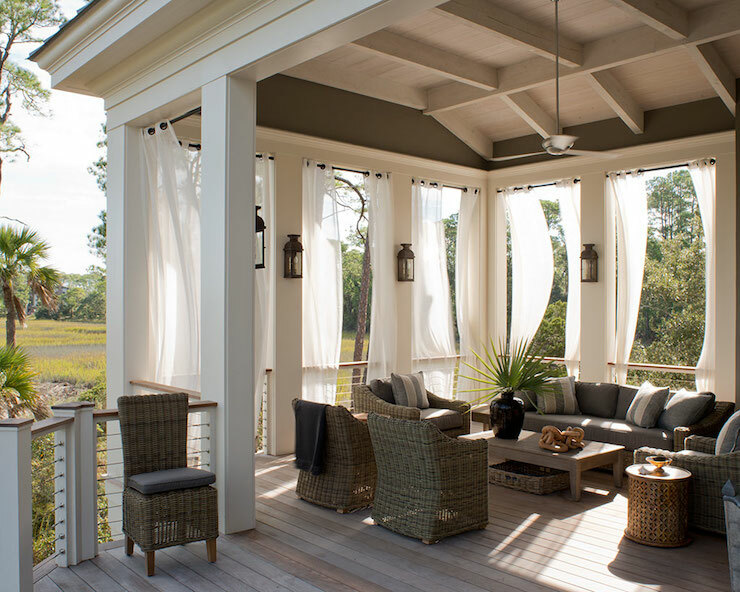 Is your design intent congruent with the room it will be in? As a designer you must know the weight limitations of each track to be used. For example, a well known manufacturer’s smooth Designer Metal rod will only hold .9 lbs per foot and the fluted version only holds 1.5 lbs per foot. 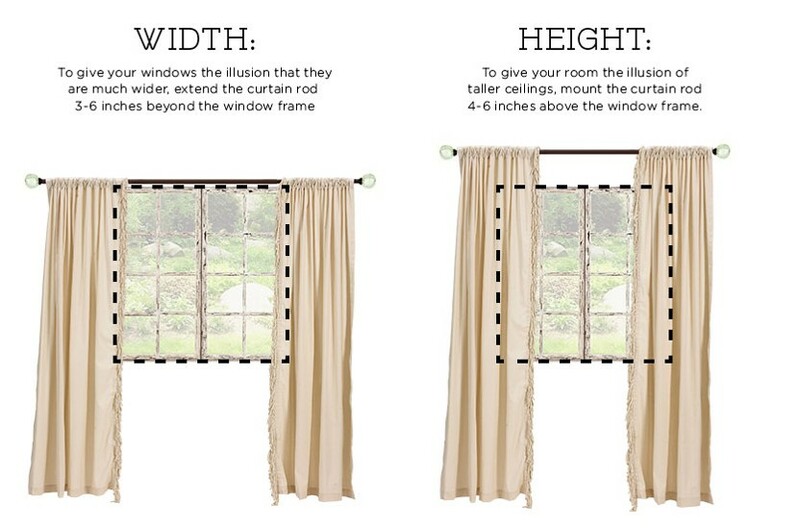 This means an 8′ wide window drapery cannot weigh more than 7.2 lbs or 12 lbs. There are two things you need to figure to make sure you have the right rod for the right treatment. 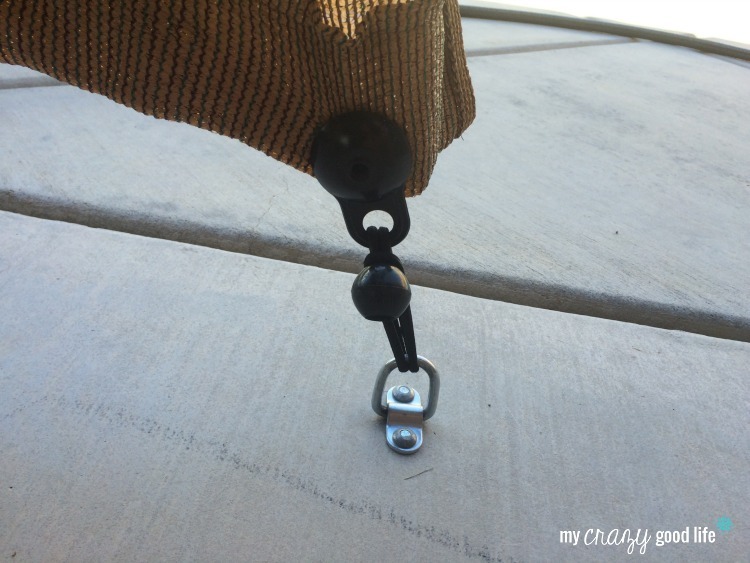 First, check with your drapery hardware manufacturer to find out how much weight the rod you are considering holds per linear foot. Next, figure your drapery or treatment weight using the formulas below. How much will your rod hold? 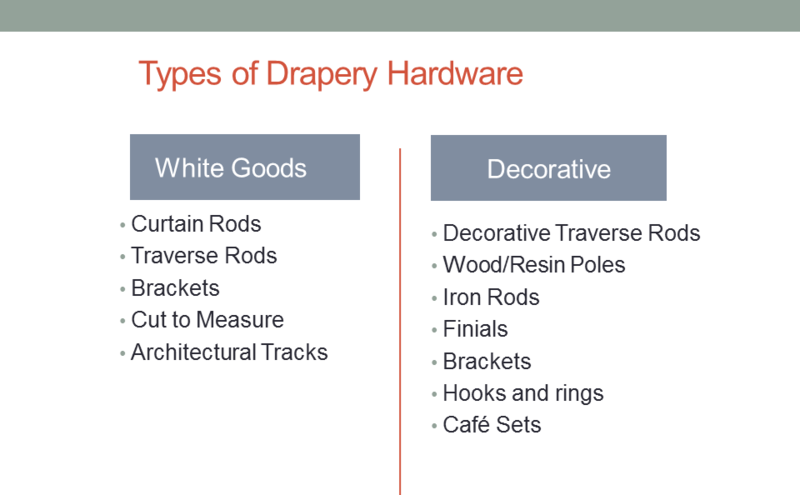 For more tips and tricks about selling and specifying drapery hardware heck out our complimentary monthly webinars or watch them on demand HERE. 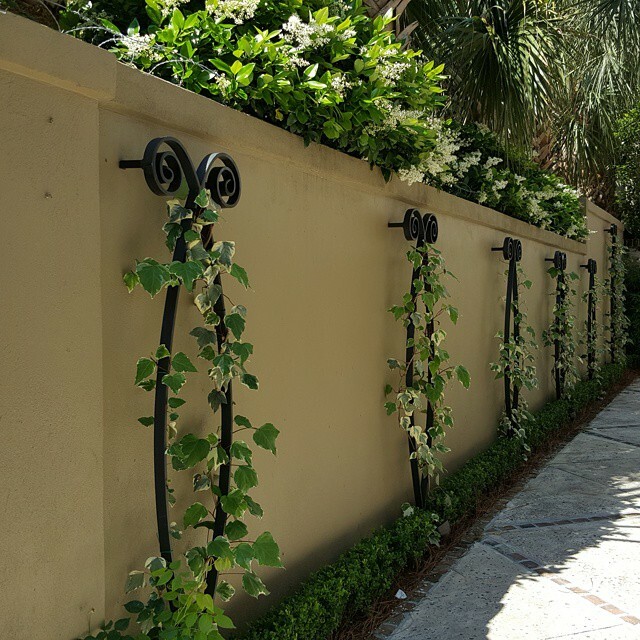 This entry was posted in Speaking of Design and tagged brackets, decorative drapery hardware, dexcorative hardware, drapery hardware, finials, iron rods, poles, rings, rodfs, wood on May 26, 2015 by ironart. 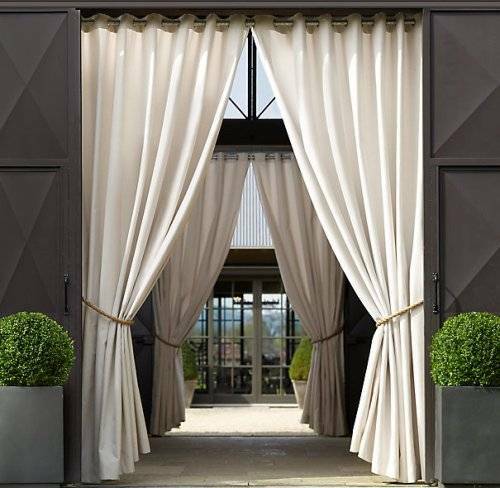 This entry was posted in Design Events and tagged curtains, decorative hardware, draperies, drapery hardware, poles, rods, traverse rods, traversing systems on April 10, 2015 by ironart. Are you designing in a contemporary context and looking for the right hardware to finish your window fashions? Playing off of today’s design aesthetic of clean, modern design, Orion’s Italian Collection is your answer. 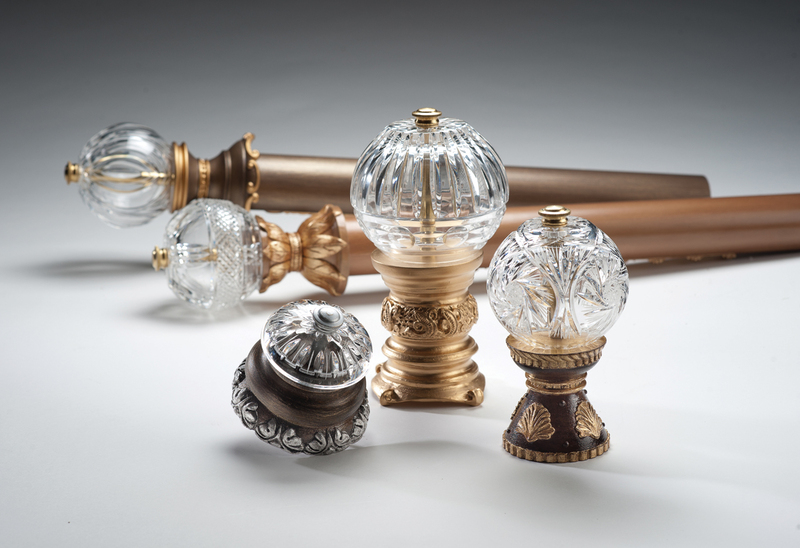 The California made collection is available in a broad range of sizes, configurations and finials. 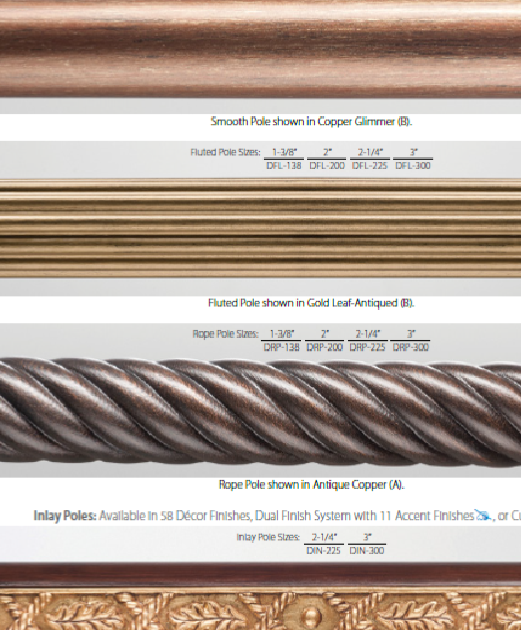 This custom collection has rod sizes in 3/4″, 1”, and 1-1/4” round and 1” and 2“ square. 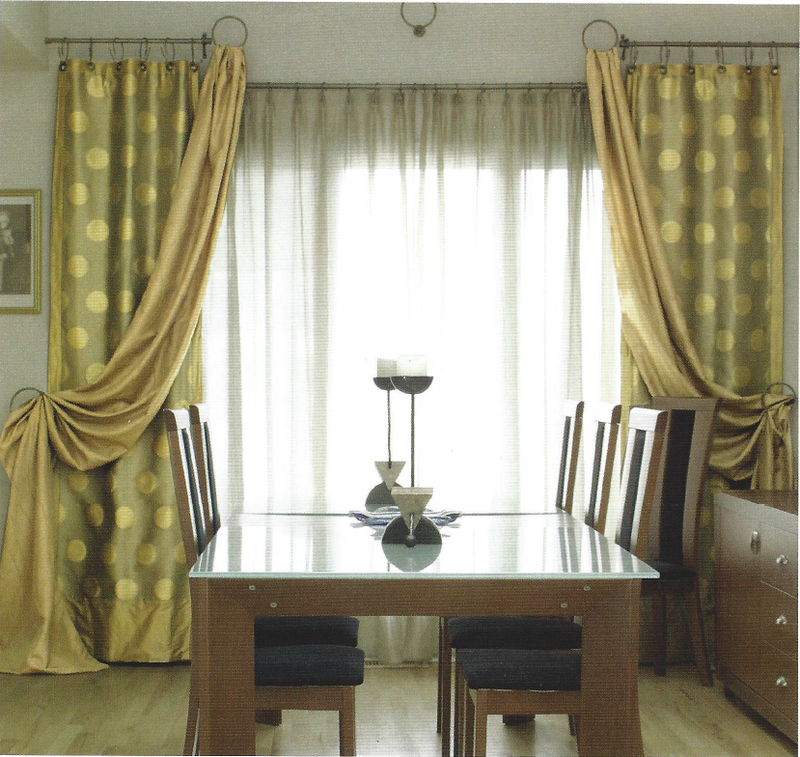 You can meet any client’s needs with either single or double rod sets, traversing systems and even motorization. Need to mount inside- we have socket brackets. Want to mount at the ceiling? We have ceiling mount brackets. 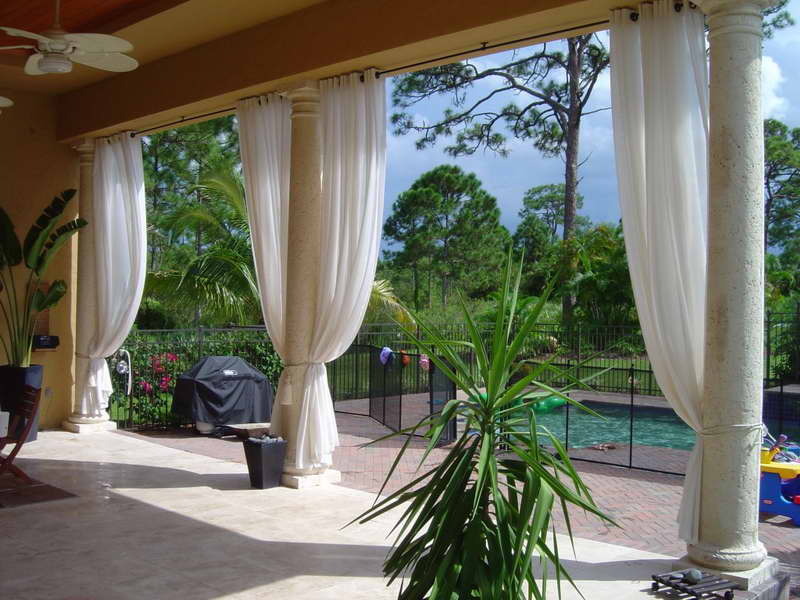 Have a door or large span to cover and need a decorative option- we have the bypass system. 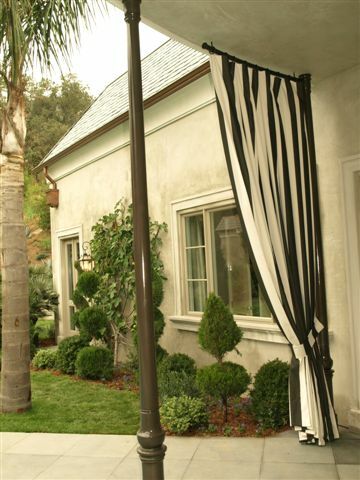 Want to use a French pole with a modern twist? Our Italian finishes will give you that. The Italian collection’s six finishes are inspired by metallic trend that’s not going away. Brushed nickel and oiled bronze are on point. 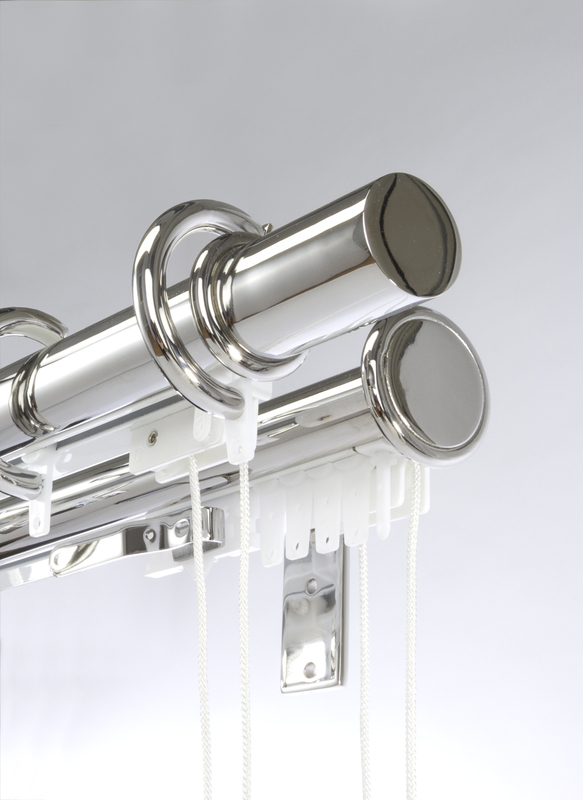 Chrome is gaining popularity- especially with more and more draperies and curtains appearing in baths. Satin Gold and Satin Copper speak to the warm metal trend. Black Nickel is our fashion forward finish. The collection’s metal finials are inspired by geometric forms with their sharp corners and angles. The new wood inset finials mix media with the warmth of natural, oak and walnut warming up the cool of the metal. Looking for Modern Glam? 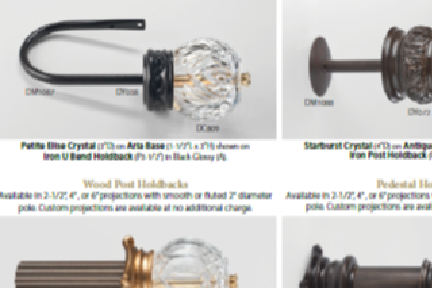 Our Bohemia Crystal finials are a perfect complement for the Italian collection poles or rods. 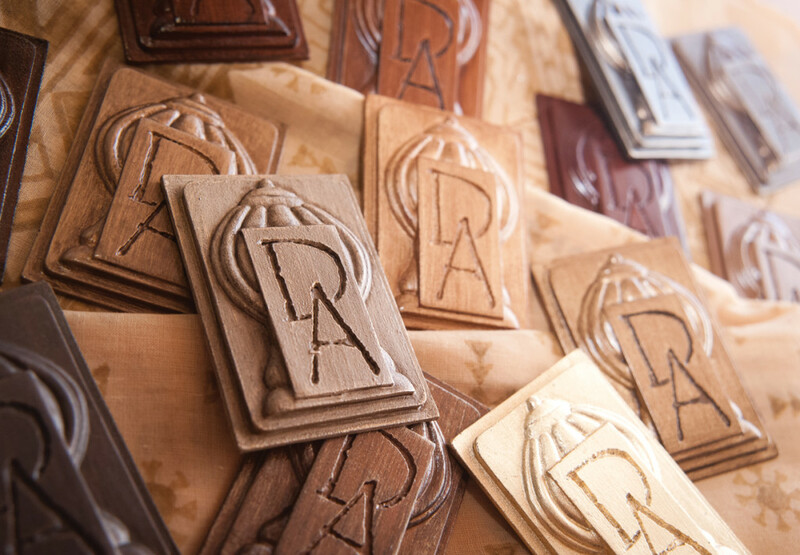 All are hand crafted. Plus, I love that the crystal finials come in nice velvet lined black box. If you are working with specialty windows the Italian Collection has the right accessories and systems to solve your challenges. If you working with Bays and Corners use our movable Corner Brackets or Movable Elbow with End Brackets to maximize space. Send us your wall measures and angles and we’ll custom bend your pole. 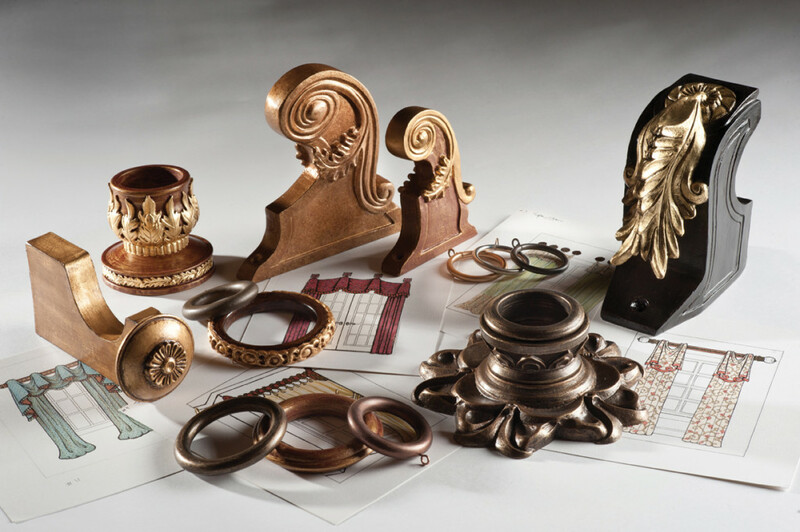 When your customer asks for functioning treatments but doesn’t want a traditional or heavy looking decorative drapery hardware – that’s when you sell our Italian collection. No matter what your design intent or challenge is Customization is our specialty. Our products can be customized to meet installation specifications. We offer products and accessories that are highly functional as well as innovative and unique. This entry was posted in Drapery Hardware and tagged bracket, chrome, corner bracket, decorative hardware, drapery hardware, finials, French pole, oiled bronze, poles, rods, satin copper, satin gold, satin nickel on March 25, 2015 by ironart. 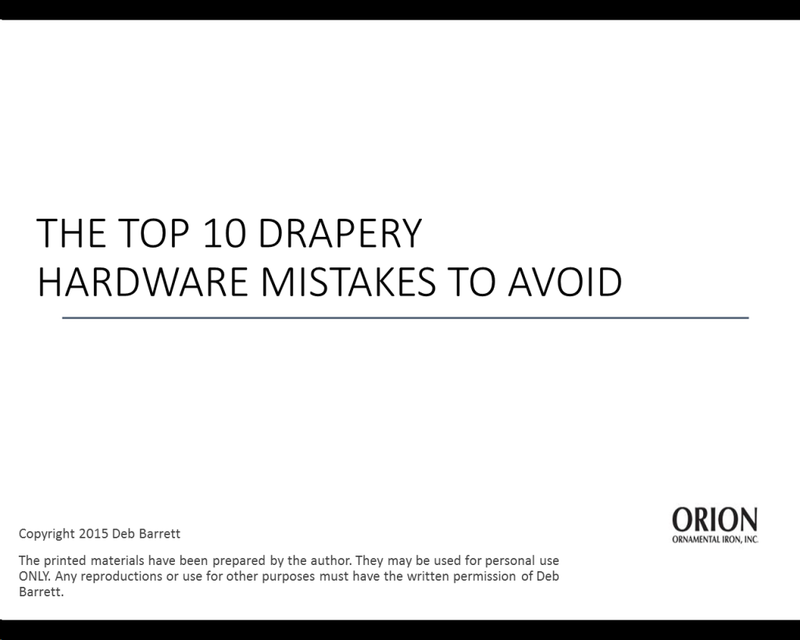 The video recording and cheat sheets from our Top Ten Drapery Hardware Mistakes to Avoid have been posted HERE. 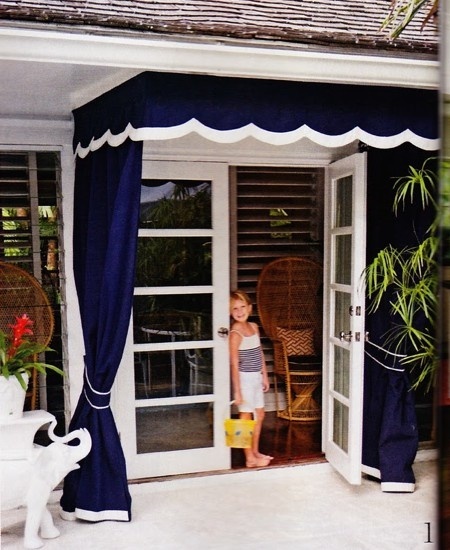 This entry was posted in Drapery Hardware and tagged curtains, decorative hardware, draperies, drapery, drapery hardware, finials, poles, rings, rods, window coverings, window treatments on March 14, 2015 by ironart. 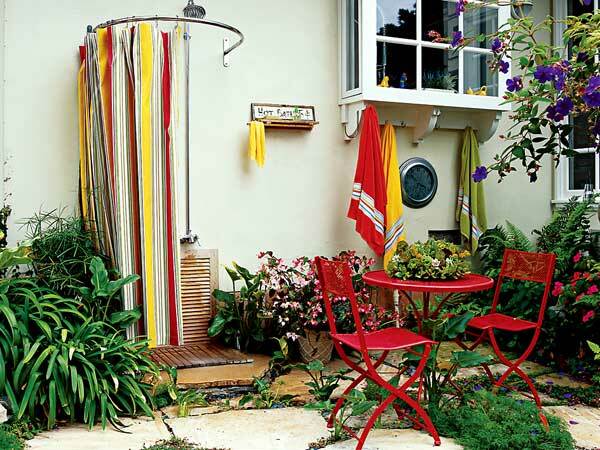 You’ll see and hear some interesting stories about inappropriate choices, bad installations and drapery hardware no-no’s and you’ll come away with some great tips on what to avoid on future projects. 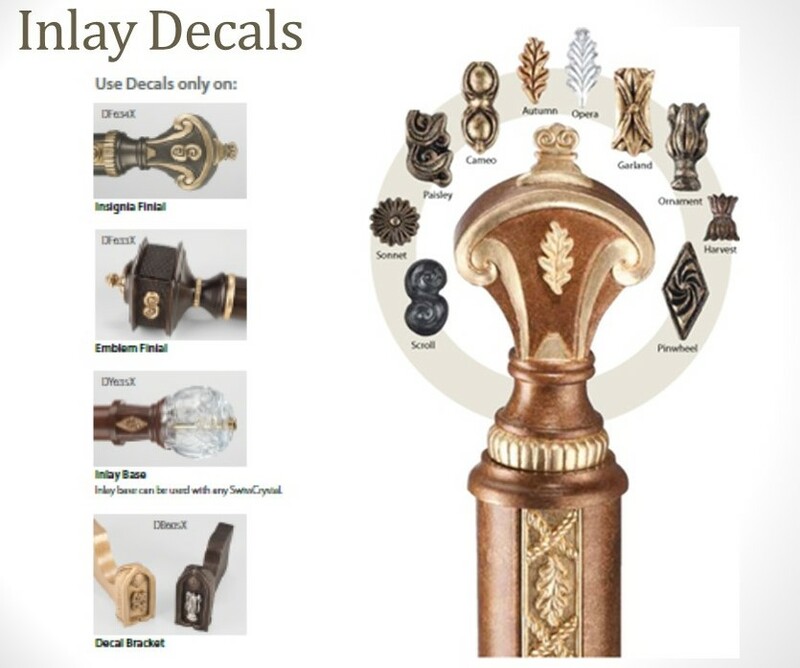 This entry was posted in Design Events and tagged brackets, decorative hardware, drapery hardware, finials, poles, rings, rods on February 18, 2015 by ironart. That’s what we asked designers and then we took their answers and we created Design Art. 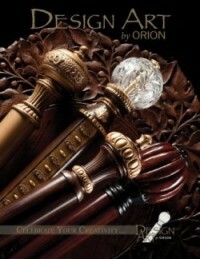 From elegantly simple to exquisitely detailed, Design Art by Orion presents gorgeous drapery hardware designs. At Design Art, customization is our specialty, and every order is carefully created by Orion’s artisans. 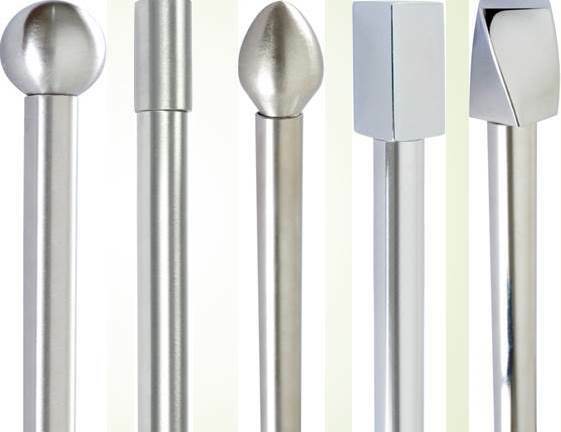 Whether you want traversing poles (manual or motorized), or great, originally styled finials, poles, rings, brackets, centerpieces or medallions, Design Art – proudly made in the USA – is just for you. Here are some of the wishes the designers we surveyed expressed. 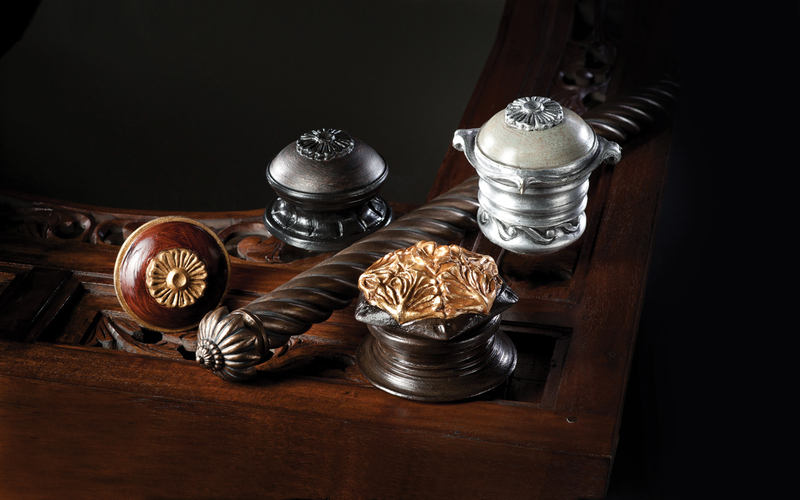 What better way to create sophisticated drapery hardware then with finials and Rod-Enders. Ours are all original designs with styles ranging from simple & petite; to sophisticated & grand. 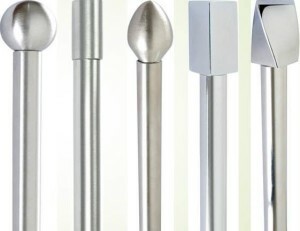 Each finial fits at least 2 pole sizes to increase your design options. 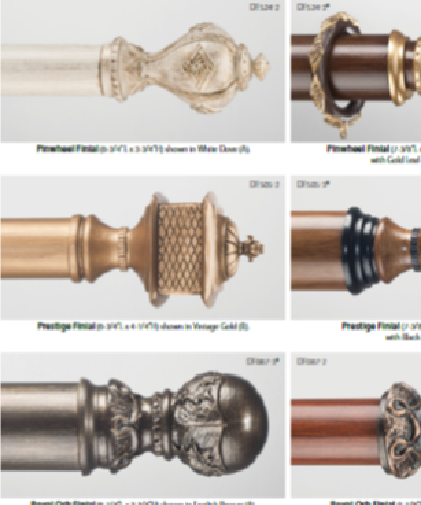 Design Art has SwissCrystal Finials for wood poles & iron rods, medallions, holdbacks and even stair newels. You have the design freedom to mix & match. Design Art has 16 styles of SwissCrystal with 28 SwissCrystal Bases and 4 SwissCrystal Medallions Bases. 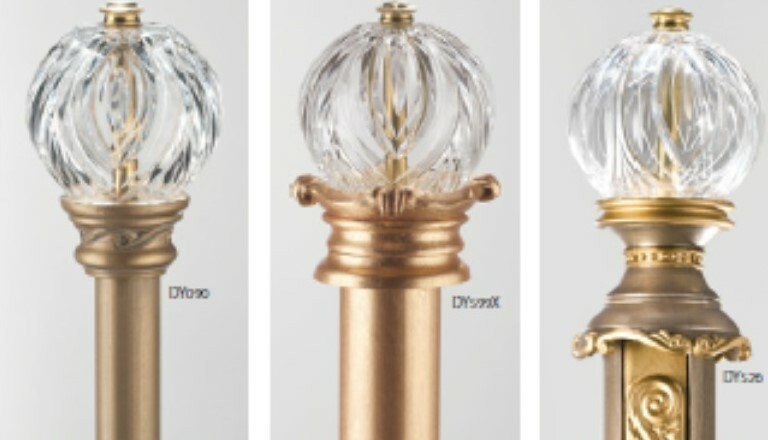 Plus, 16 Bohemia Crystal finial designs for wood poles & holdbacks. We took that to heart and shaped Design Art inlays. There are 10 original Inlay Design patterns for 2-1/4” and 3” poles. Add matching or coordinating finials, rings, brackets, SwissCrystal bases. Plus, we created inlay decals. 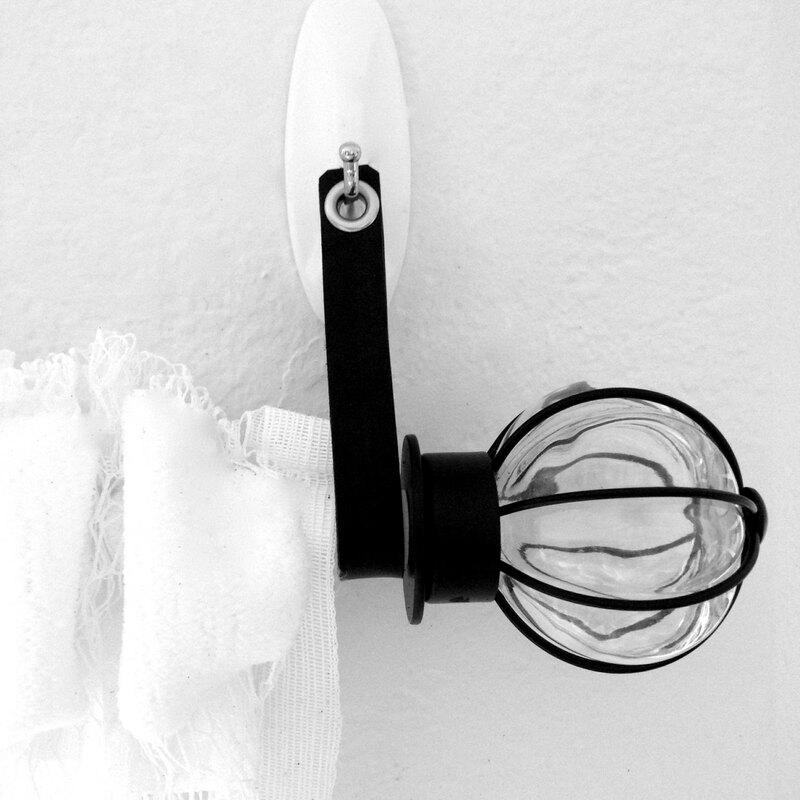 Check out our brackets – simple to magnificent. Holdbacks – Iron U-Bends and Posts in Iron or Wood and rings– smooth to ornate. Decorative drapery hardware is window fashion’s finishing touch. We went the extra mile and added Centerpieces for our poles, medallions in 3 designs and multiple projections, even SwissCrystal Stair Newels. 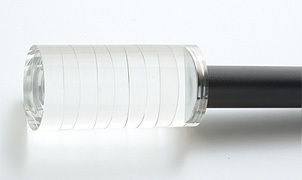 That’s what you’ll get with our poles, finials and all accessories in 1-3/8”, 2”, 2-1/4”, 3” diameters. Select from 685 possible hand-painted finish combinations, plus Custom Colors… all hand-painted just for you in the USA.Choose a color from Benjamin Moore or Sherwin Williams. Send us a fabric or other color swatch we’ll match your color and add Accents with any of our 11 Accent Finishes or add Highlights in Gold, Silver or Bronze. We heard that time and time again…And we created Design Art by Orion so that you have the freedom to… Combine finials, poles, brackets, rings & other unique design products to create your own individual look. 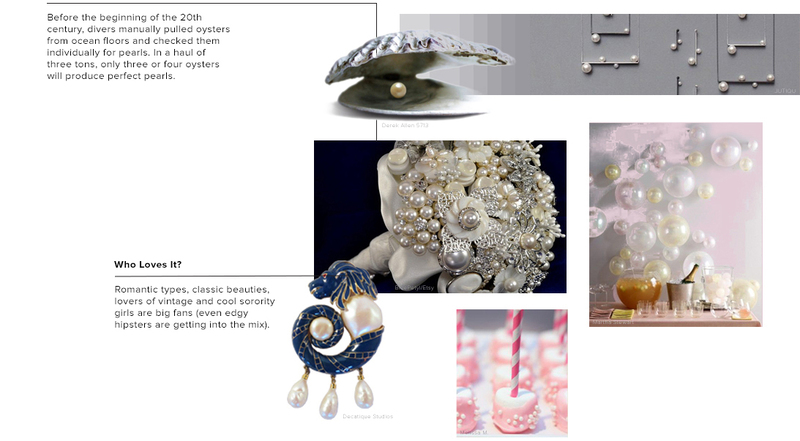 This entry was posted in Drapery Hardware and tagged brackets, crystal finials, curtains, decorative hardware, drapery, drapery hardware, finials, inlays, poles, rings, rod centerpieces, rods on February 16, 2015 by ironart. 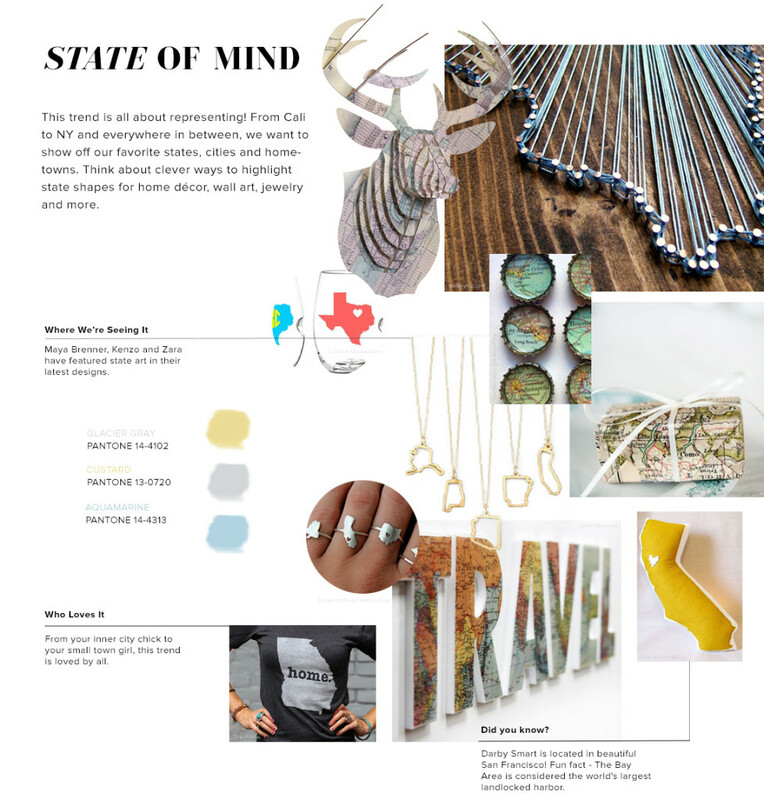 Darby Smart, DIY website extraordinaire, just released its Spring DIY Trend Report and it caught our eye. Why you ask? Well, for starters total DIY sales is predicted to be 338.3 billion dollars in 2015. We know there is a thriving and market out there of DIYers and crafters and as design entrepreneurs we want to reach that market. Second, we live in an era where the consumer is empowered and encouraged to design their own products to renovate, to repurpose castoffs into functional and creative art, and even design and construct personalized objects out of recycled materials. 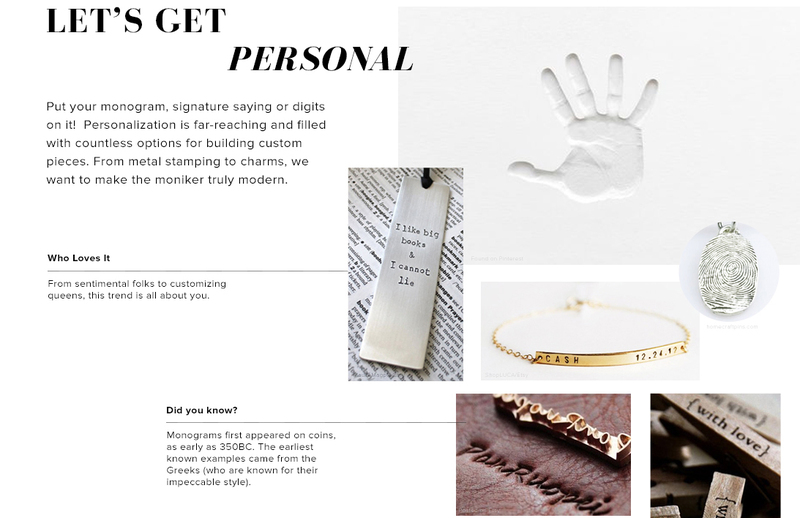 The appeal of the DIY lifestyle is not just about frugality or politics: it’s about a deeper connection with authentic craftsmanship and the heart of the artisan through the consumer co- creating. 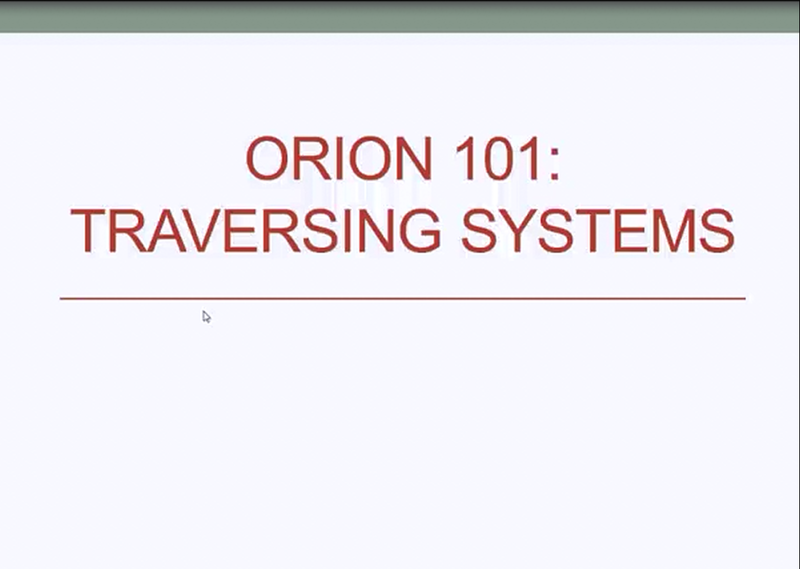 Last, as Makers ourselves, Orion is inspired by other Makers and Creatives. We love to see what they are getting jazzed about . 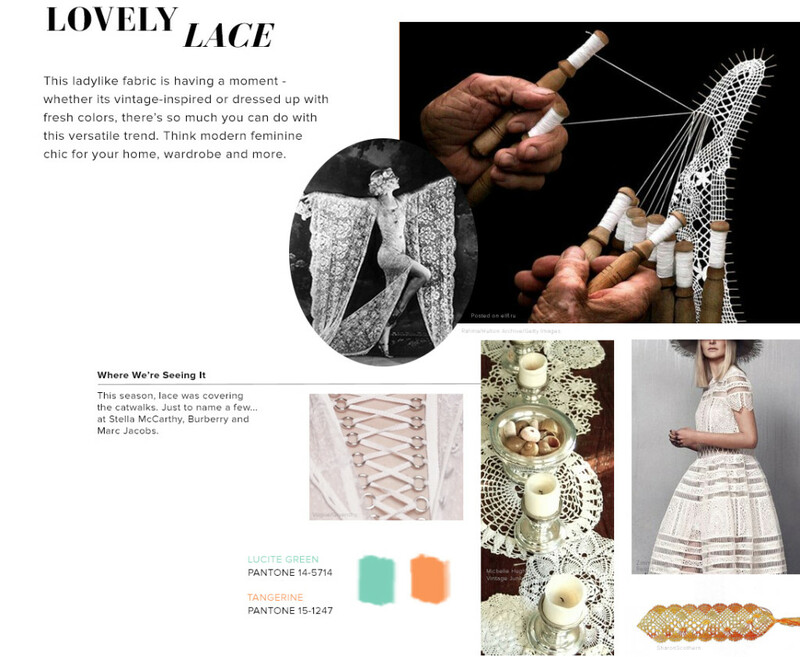 So here’s a DIY take on what trends will be created and constructed this Spring. 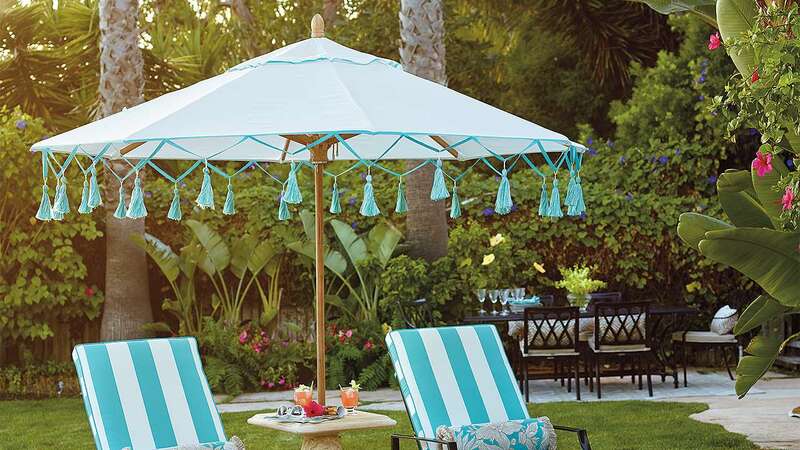 See how DIY trends can inspire your decorative drapery hardware choices. 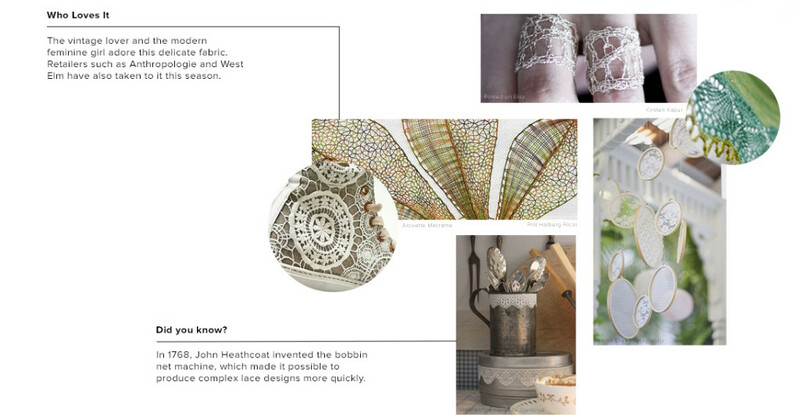 I am a bit obsessed with Lovely Lace. 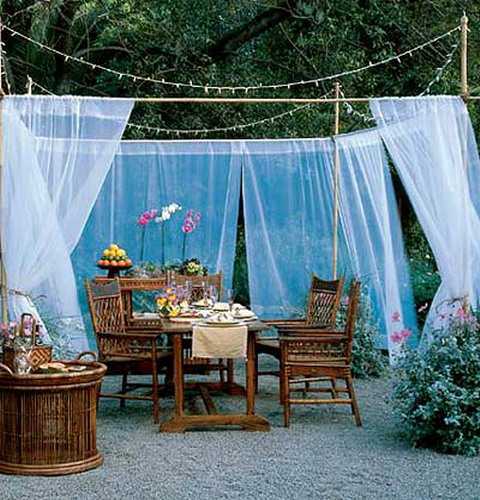 Wouldn’t decorative drapery poles look stunning with a lace overlay? 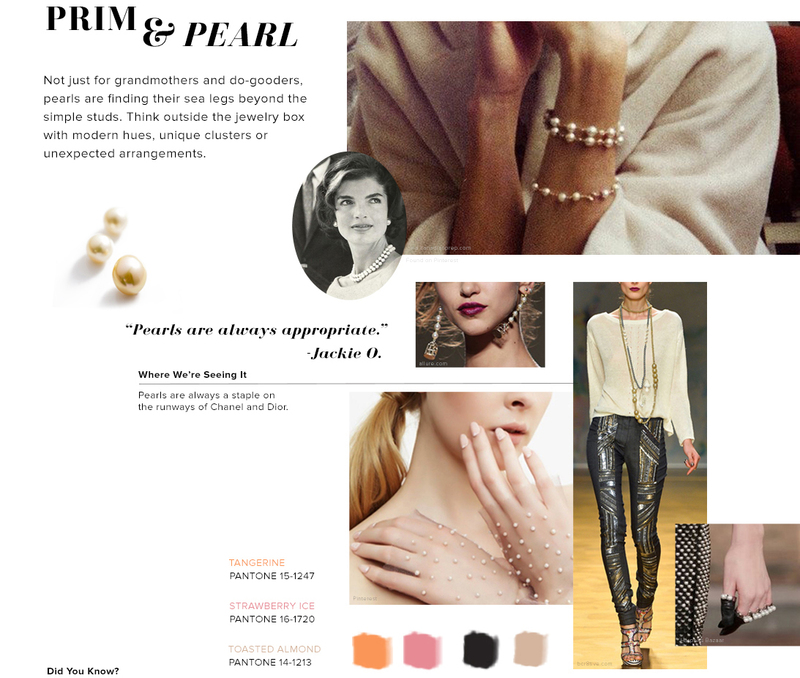 Pearl studded rings? Which one is your favorite? 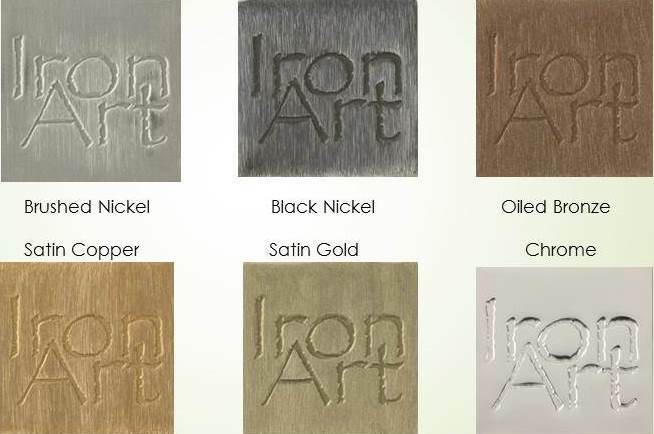 This entry was posted in Speaking of Design and tagged curtains, decorative hardware, drapery, drapery hardware, drapery poles, finials, iron finials, iron poles, lace, pastels, poles, rings, wood finials on February 3, 2015 by ironart. We are launching our new Design Arts Collection at IWCE 2015. We so excited; we can’t keep it under wraps any longer. Join us Thursday December 11, 2014 at 1pm EST/ 12pmCST and 10am PST to get a sneak peek at our new Design Arts Collection of drapery poles, finials, rings and more. 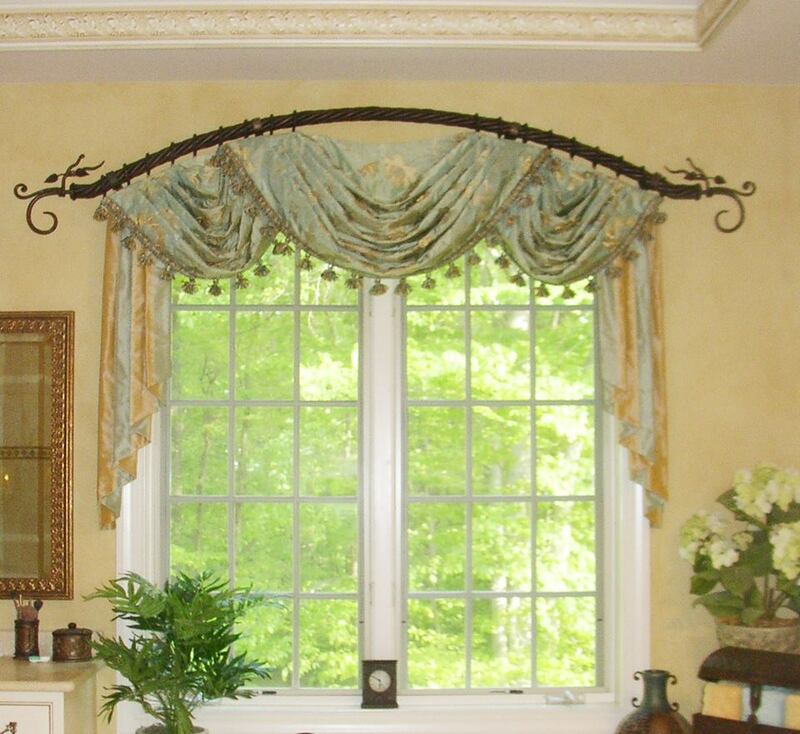 This entry was posted in Speaking of Design and tagged brackets, decorative drapery hardware, Design Ats, drapery hardware, drapes, finials, poles, rings, rods, webinar, window treatments on November 27, 2014 by orionIronArt. 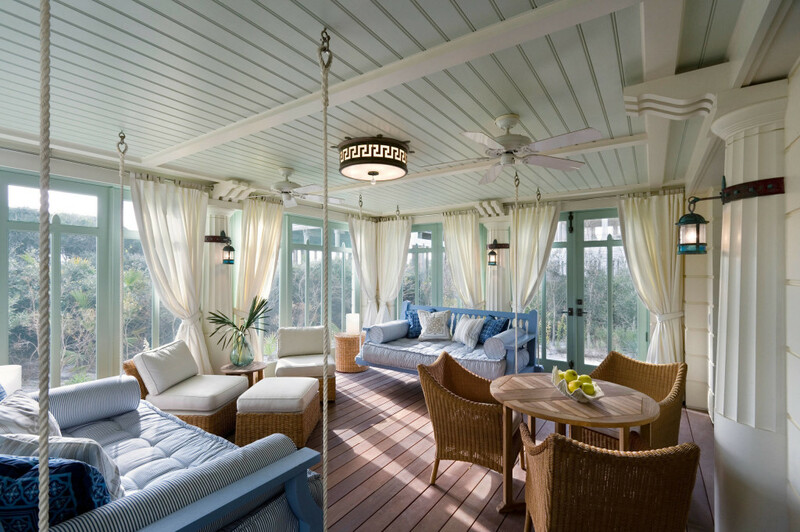 In today’s decorating world there are all kinds of hardware to hang your window treatments on. 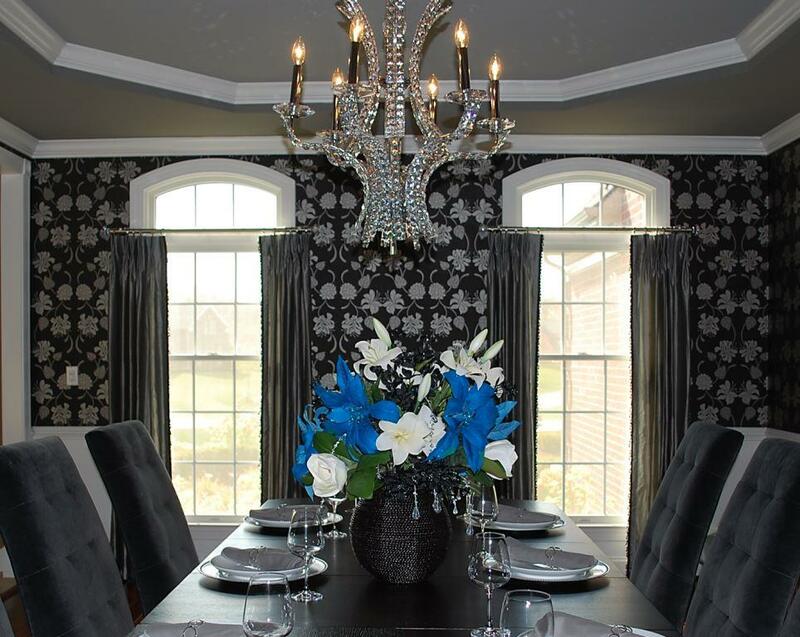 One of the first decisions you have to make when designing window treatments is how you are going to hang them? Do you want them to function or not? What kind of hardware are you going to hang them on? Loads of questions to answer right off the bat. Knowing the design vocubulary and speaking the language of drapery hardware will make it easier to answer the questions and make the right choices.. Decorative hardware is a functioning or stationery mounting system that holds window treatments- usually draperies that are meant to be seen- and have decorative elements. 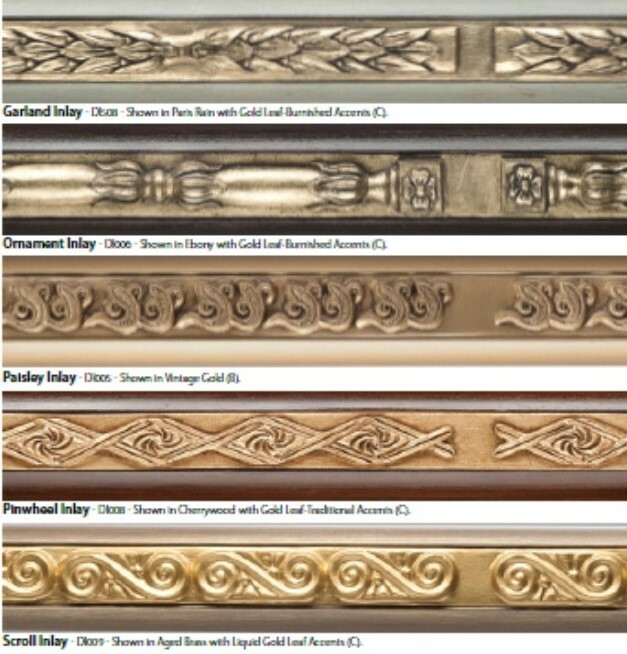 Decorative hardware is popular today for stationery side panels or functioning drapery and in a lot of cases take the place of a top treatment. You’ll use either a rod or pole. A rod is usually metal; can be adjustable or traversing and comes in a variety of finishes (brass is gaining popularity) and shapes- from smooth round and square to twisted and fluted. Poles, are usually made of wood or metal, but aren’t adjustable and hold a stationery treatment. Wooden poles come in many types, finishes and shapes like rods. Brackets are what support the rod or pole on the wall. 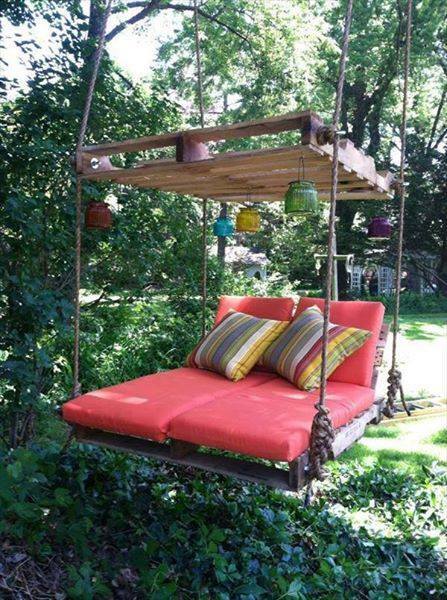 They can mount onto walls, window frames, or even ceilings. (Hint: Mounting on the frame is a no-no; unless you have no other room. Mount your rod/pole up at least four inches from top of trim.) Some brackets are purely functional, while others have a decorative life all their own. You’ll want to make sure you have enough brackets across the width of the rod to support the weight of the treatment. Generally Pros use a bracket every 36- 48 inches. Finials are the decorative pieces that you add after the rod or pole and rings are in place. Finials are both decorative and functional; they’re attractive and keep curtain rings from sliding off the rod or pole. 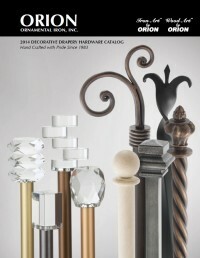 Finials can be traditional, contemporary, glamorous and tailored. 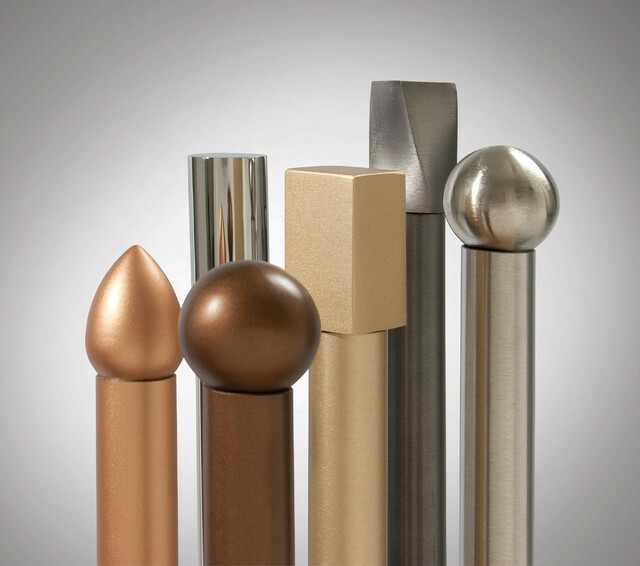 Finial materials range from wood, metal and resin to crystal, plastic and stone. Rings attach the fabric at the top of your treatment to your rod or pole either by sewing them or pinning them. Most rings have a small eye at the bottom to attach to. They come in many finishes to complement your other hardware components. Finally, most of these components are sold in sets to make it easier to coordinate, but now that you are fluent in the language of drapery hardware, venture out a bit and think about mixing and matching. 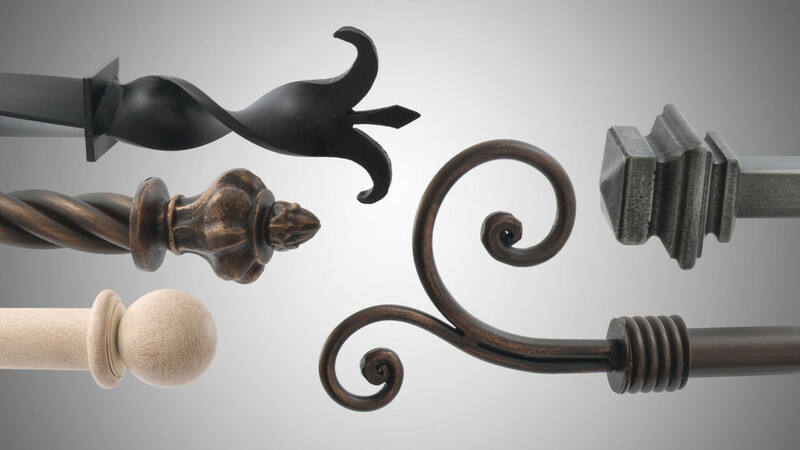 No matter what your decorative hardware– it needs to fit, look great and work properly. This entry was posted in Speaking of Design and tagged brackets, curtainsm, decorative brackets, decorative hardware, drapery hardware, drapes, finials, iron finials, mounting window treatments., poles, resin finials, rings, rod, window coverings, window treatments, wood finials on April 21, 2014 by orionIronArt.